Sprinkler and irrigation pumps are a critical component of irrigation systems at homes, businesses and industrial locations in the Miami area. Pumps, such as these, are typically present in household sprinkler systems, sports fields, farmland, golf courses and other commercial and municipal locations. These pumps are powered by an array of sources, which include electricity, gasoline, diesel or propane. When an irrigation system fails, the issue may lie within the pump. Centrifugal Pump – Centrifugal pumps are very common in irrigation systems, especially those ranging from 1.5 hp to 30 hp. They pull water from its source and ensure its smooth transfer throughout the system. Submersible Pump – A submersible pump is positioned entirely underwater. Even the sealed motor is submersed, pushing the water out of its source and to the surface. These pumps are ideal for applications where a lot of water and minimal noise are required. Booster Pump – Booster pumps are typically a part of highly pressurized irrigation systems. The system may even have more than one booster pump, allowing for continuous water pressure. 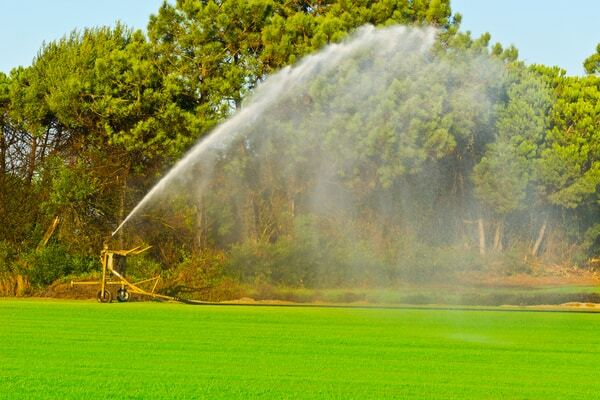 Our team is qualified and fully capable of repairing or replacing every type of irrigation pump. Miami Pump offers the most comprehensive and highest quality irrigation pump repair services in the region. We have over three decades of experience in repairing such pumps in homes, farms, businesses, government locations and other facilities. Some irrigation pump issues may not be visible as the system continues to function. Issues become more noticeable at the time of efficiency loss or a complete shutdown of the irrigation system. When you experience an issue with pump performance it’s imperative to contact an expert in the field. We understand that emergencies can occur at any time which is why our team is available 24/7 to provide irrigation pump repair services. Pump repair may include part replacement such as ball bearings and rewinding of electric motors or may involve applying proper lubrication to various components within the system. Miami Pump and Supply has been repairing irrigation pumps since 1980. No job involving an irrigation pump is too big or too small for our team to proficiently handle. Contact Miami Pump if you’re experiencing an issue with your irrigation pump.